Kayanna of June Craft is offering a free, vintage-esque floral desktop wallpaper design. Go grab it here! I just had some repairs finished on my computer and NEEDED a new wallpaper. This one is perfect for the summer!! Thanks! As an artist, I want to share with you how we can force the Chinese government to disclose the whereabouts of Artist Ai Weiwei who is imprisoned without charges. I found a poll on Qwanz.com " Should cultural exchanges between China and the rest of world be boycotted until the whereabouts and charges against Chinese artist Ai Weiwei are clarified? If we all answer this, share it on Facebook and Twitter, and then , through the site, send on results, to Elected officials, government agencies and the press, we may be able to create together enough noise and pressure to force the Chinese Government to react. Your voice is important. Please help. I am in love. Putting it up now! Greetings, Jessica! What a cheerful pick-me-up. I've just put it on the computer, and did not know how the screen could glow when it is orange - shiny happy, as they say. paul, thanks for that, glad that people are about cutural issues as well as the norm! Wow, this is really cute. I have also many creative design in my mind. 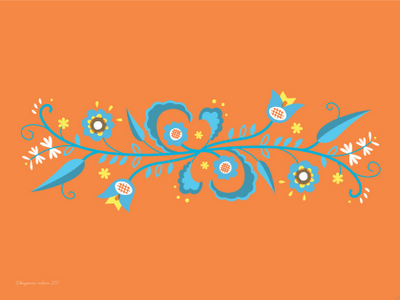 Me wana publish them on this blog..
Looks like Norwegian rosemaling. Love it!